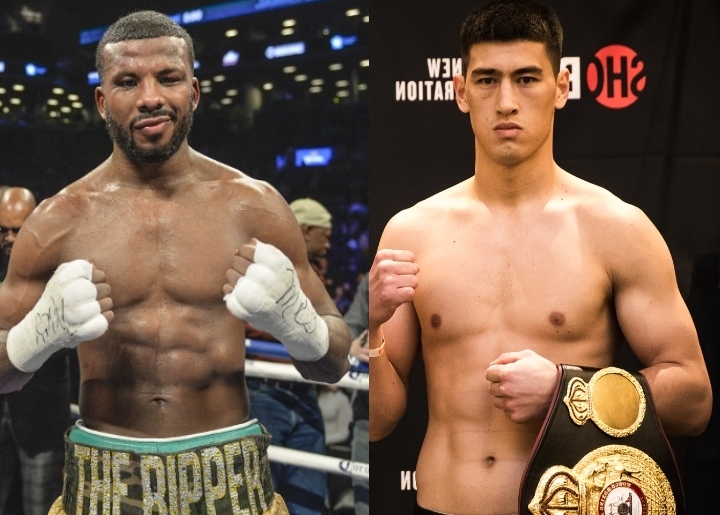 Two-division champion Badou Jack, all things being even, prefers a fight with WBA titleholder Dmitry Bivol over counterparts Artur Beterbiev (IBF), Oleksandr Gvozdyk (WBC) or Eleider Alvarez (WBO) should he get beyond a January 19 clash with Sir” Marcus Browne for the WBA’s vacant interim title at the MGM Grand in his hometown of Las Vegas on Showtime Pay Per View. Jack (22-1-2, 13 KOs) faces Browne (22-0, 16 KOs), a 28-year-old, Staten Island, New York, native and 2012 U.S. Olympian, on the undercard of a 147-pound defense by WBA “regular” champion Manny Pacquiao (60-7-2, 39 KOs) against four-division champion Adrien Broner (33-3-1, 24 KOs). In his last fight in May, Jack battled through a grueling, toe-to-toe draw with the left-handed then WBC titlist Adonis Stevenson, a 41-year-old whose ninth defense happened before his partisan fans at Air Canada Center in Toronto, Canada. Stevenson lost his 10th defense by 11th-round knockout last month to Gvozdyk (16-0, 12 KOs), and is recovering at L’Enfant-Jesus Hospital in Quebec City, Canada, from a brain injury suffered in that fight. Stevenson has reportedly begun speaking. Alvarez (24-0, 12 KOs) scored a three-knockdown, seventh-round knockout to dethrone Sergey Kovalev (32-3-1, 28 KOs) in August. On the same card as Alvarez, Bivol (15-0,11 KOs) earned a unanimous decision over Isaac Chilemba. In October, Beterbiev (13-0, 13-0) scored first- and final-round knockdowns but was dropped, himself, in the second of his fourth-round stoppage of Callum Johnson (17-1, 12 KOs), whose run of four straight knockouts, including three in the first round, was ended. Bivol made his successful third defense against former titleholder Jean Pascal by unanimous decision in November, and Alvarez-Kovalev II is slated for February 2. “That’s [Bivol] a fight that I really wanted, but right now, I’m thinking of Marcus Browne. That’s all of my focus. There are four champions ahead of us, so me beating [Browne] doesn’t really make me No. 1,” said Jack, 35. In his last four 168-pound bouts, Jack dethroned switch-hitting, previously unbeaten WBC champ Anthony Dirrell (April 2015) before defending his crown by split-decision over former titleholder George Groves (September 2015), disqualification against left-handed ex-titlist Lucian Bute (April 2016), and battling to a unification draw with ambidextrous IBF counterpart James DeGale (January 2016). Jack then relinquished his super middleweight world championship to dethrone Nathan Cleverly as 175-pound titleholder in August 2017 by fifth-round knockout before vacating to challenge Stevenson. Jack is ranked No. 1 ahead of No. 2 Brown in the slots for the titles owned by Gvozdyk and Bivol, with Browne being rated No. 2 for that held by Alvarez. “I think [Bivol] is a good fighter and a good boxer, athletic. Everybody said he’s gonna knock this guy out, but those guys are not easy opponents. Chilemba’s a tough guy, Pascal’s a tough guy, and it’s not easy to knock everybody out,” said Jack. Browne’s unanimous decision over Lenin Castillo (18-2-1, 13 KOs) in August ended the loser’s run of three consecutive knockouts. Browne surged last year with KO victories over left-handed title challenger Thomas Williams Jr. and previously unbeaten Seanie Monaghan in the sixth and second rounds. Along with Browne’s first-round KO of former world titleholder Gabriel Campillo in September 2015, the stoppage of Williams marked his legitimacy as a potential champion. In January, Browne’s first-round stoppage of Francy Ntetu at Brooklyn’s Barclays Center improved his mark to 12-0 with eight knockouts at the New York venue, and 13-0 with nine KOs in the state of New York. “If Badou is victorious against Marcus Browne, he’s willing to fight any of the other champions. Any of them,” said Leonard Ellerbe, CEO of Mayweather Promotions.